New integrations, and more all the time. Our goal at Segment is to give you push-a-button easy access to the latest and most powerful analytics tools. So today we’re announcing integrations with 8 more services that span four categories of tools. Here’s the skinny on how you can use these new additions to improve your business. It’s a good solution for custom dashboards and personalized heads up displays. Keen IO is an API for custom analytics. If your customers need to visualize usage data like “How many people viewed my store?” or “How long did people spend watching my video?”, then Keen IO can help you build these analytics features directly into your application. They handle the hard parts of storing and querying the data. Talking to your customers is incredibly important (see our latest academy lesson!) We seriously can’t recommend this category enough. Luckily, there’s plenty of great services to choose from. HitTail is a search engine keyword analyzer. It looks at search keyword traffic to your site and recommends long tail keywords to target through blog content, advertisements, external links, etc. 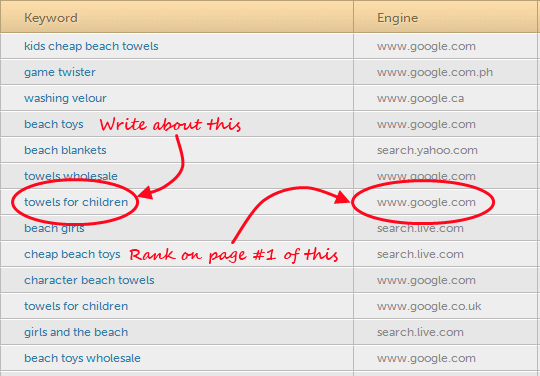 If you’re trying to actively drive more organic search traffic, this is a very interesting tool. Woopra is a dark horse entry in the real-time customer analytics space. Their individual User Profile view integrates tightly with Salesforce, they have a real-time dashboard similar to Chartbeat and GoSquared, and they even dive into retention analytics. If you’re looking for an alternative to Mixpanel or KISSmetrics, check out Woopra and let us know what you think! 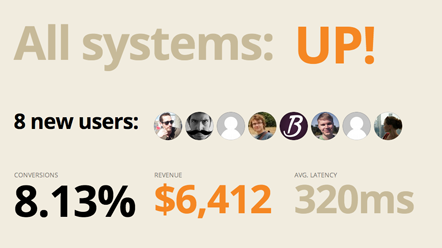 FoxMetrics is a new customer analytics service. They let you track Key Performance Indicators like Conversion Rates, “Days to Purchase” or “Sales Last Week”. USERcycle is another new customer analytics service that offers a full combination of cohort metrics, split testing and lifecycle messaging. We haven’t had a chance to use them yet, but the team includes Ash Maurya and is advised by Eric Ries — two great minds in the Lean Startup movement. Our goal in coming weeks is to let you know about new integrations sooner, so stay tuned on the blog. We have a bunch of awesome new services coming your way!